Madi has been down in the Keys for a Race Club camp more than once but her last visit was the first time I got to coach her. 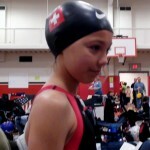 She has been on a roll lately and her mom sent me some pictures from Sectionals where she wore the Swiss cap. Go Madi! Read her full testimonial on the Race Club website. On the weekend from Friday May 6 to Sunday May, 9, 2011 the International Swimming Hall of Fame hosted the Centennial Celebration of Fort Lauderdale’s Famous Beach and International Swimming & Diving Heritage. As part of the effort to promote safety in open water swimming, ISHOF and the Crippen family introduced the 1st Fran Crippen SafeSwim event in celebration of the late, great swimmer who passed away in a race in Dubai last October. I drove up to Fort Lauderale on Saturday morning to take part in the 1 Mile Race. The course was setup as a straight one mile ocean swim both starting out of the water and finishing out of the water on the beach. One would think that after the Swim Miami only about a month ago I would have known better and learned how important of a role strategy and actually having a race plan is in open water swimming. So let me tell you about the mistakes I made that Saturday morning. The one thing that was different from Swim Miami was the beach start and finish. The running start had me get all excited and made my racer instincts go crazy. Running in the ocean behind Olympian Peter Vanderkaay made me take a chance and after the first few dolphin dives I was swimming as hard as I could to keep up with Peter and the lead pack taking a right turn at the first turn buoy swimming towards the finish. It didn’t last long and even drafting off their feet wasn’t an option anymore…they had taken off. It should be obvious to anyone that a guy who swims about the same yardage a week as someone like Peter does in a single workout shouldn’t try to out swim that other person. The annual Swim Miami was held on April 9, 2011 in a new location at the Miami Yacht Club on Watson Island and Gary Sr, Richard and I were 3 of over 800 athletes to explore the waters that morning and enjoy one of South Florida’s premier open water swims. The original Swim Miami began in 1989 by Jimmy Woodman, founder of Active.com, in conjunction with Florida Sports Magazine and continued successfully through 1998. 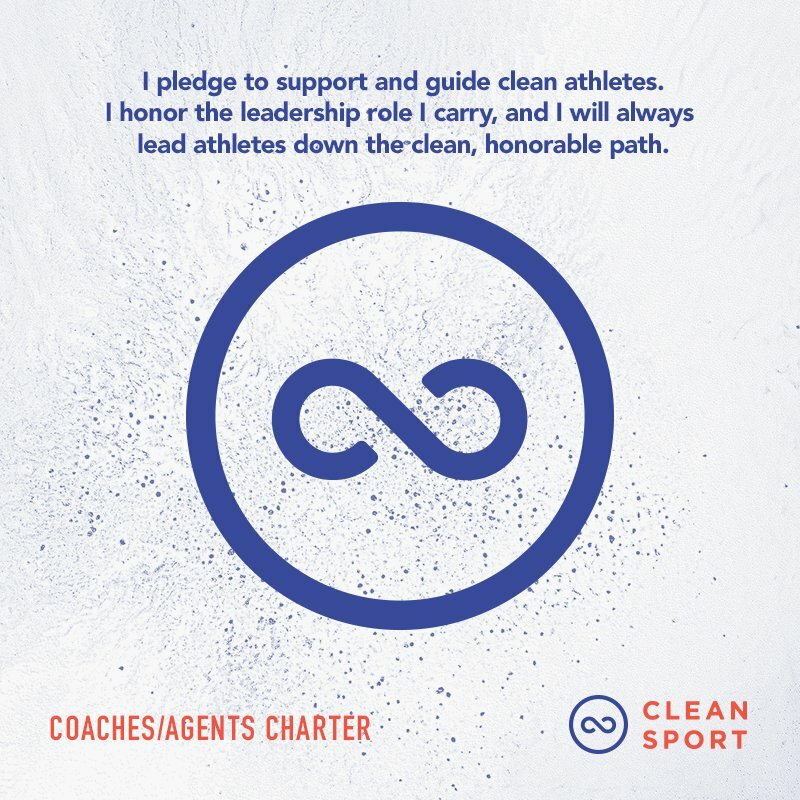 In 2005, Miami Sports International, a subsidiary of Swim Gym Aquatics, led by four-year University of Florida swimmer Jonathan Strauss, restarted the event. Miami Sports International helped to develop open-water swimming as an Olympic sport and now promote many other open water events. Originally staged at the Miami Rowing Club in Key Biscayne, 2005 was also the year I participated for the first time in the Swim Miami while training in the Florida Keys with the Race Club. Swim Miami currently consists of four swims: a ten-kilometer swim, a four-kilometer swim, the traditional Miami Mile, and an eight hundred meter sprint race. Considering our current weekly training, all three of us decided to participate in the Miami Mile. 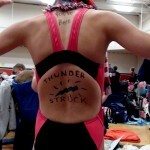 The Fighting Manatee Swim Club is putting together a Masters swim meet series in 2011. They will host three meets, one meet in every pool available, starting with Short Course Yards on the first weekend of February. Also during this first meet there will be a swim clinic by US Olympian Jon Olsen. Please read the meet announcement or visit their website for more information on the series. On Saturday June 12th I participated at the 2010 Finswimming Championships in Brig. In the midst of final exams at school and not really a great training regime I decided this was the one distraction needed to “recharge” my batteries. As I was limited to one day, my program for this year’s meet looked a bit different from what it probably would have otherwise. And it also marked my first outdoors competition of the year. I started the morning with the prelims of the 100m FS and placed 2nd with a time of 48.6 which was good considering I was holding back a little and using my soft workout fin. Next up was the 50m AP. I won the silver medal in 19.5 which came rather as a surprise. I used the Glide for this race what probably slowed my down off the blocks, so I was actually pretty happy with that time as well. On Saturday April 24, I competed at the traditional Meeting de Printemps in Lancy. This is my club team’s home meet and always a lot of fun. The format of the meet is starts with a prelim session of 100’s in each stroke and a 200m IM final. Although at this time I’m not awfully training a lot there’s no way I could miss out on swimming in front of the home crowd. I didn’t expect anything from this meet other than having a good time with my team. Well, this of course isn’t the full truth as you never compete just for the fun (at least I don’t). It always makes me furious when one of the other guys in my heat puts in a higher gear and overtakes me. The four athletes from the Philippines I was coaching during my two weeks with the Race Club went to the FGC Open Invitation last weekend (February 20 – 21) held at the city of Plantation Central Park Pool. Checking on their results last night I was happy to see they all did well. Dorothy swept the backstroke races (50, 100 and 200). Her brother Daniel won the 200 backstroke. Denice the youngest of the four got a couple 2nd places and David was just a little of the medals but had solid swims as well. 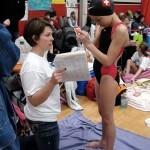 You can get full results of the meet by going to the Sunrise Swimming website. Daniel and David Hong at JAC. They will be down in the Keys training under the guidance of Gary Sr. and Richard before they’ll be heading back home. Dorothy will try to qualify for the first Youth Olympic Games which will be held later this year in Singapore. I think all of them improved a lot over the last couple weeks they have been training with the Race Club. And I feel very humbled to be part of their journey, even though it was only for a short time. I wish all of them the best of luck and look forward to follow their swimming in the future. On Saturday Dec 19th I competed at the Championnat Romand d’hiver in Lausanne. I substituted my Saturday morning workout with this meet by entering more events than I normally would at Regionals. My team mates were on a short 3 day break as we were leaving on Sunday morning for our Christmas/New Year training camp in Tenerife. On Sunday Dec 6th I participated at the Copa da Natal hosted by the Flippers Team Locarno at the Centro Sportivo di Tenero. We left around noon on the day before the meet to bring the 6h travel involved in getting from Geneva to Tenero behind us in a more or less stress free and comfortable manner. Even though I felt tired because my studies kept me busy and up late many nights, I was looking forward to compete in LCM again. Finswimming is just a different beast in SCM with twice as much under water work involved. And of course in the “high-speed” events such as the 50m AP the turn slows you considerable down.